CallClassifications can be used to Tag conversations by using the Extension window. The Extension Window must be used, Learn More. The CallPropertyService must be installed and configured on the Anywhere365 Server, Learn More. Create multiple layers of classifications. Create an item per Classification, all with level 0. Create an item per Classification combination, separate with ;. Create an item per Classification Level combination, each question with it's own level. Create an item per Classification, each Classification multiple time per level. 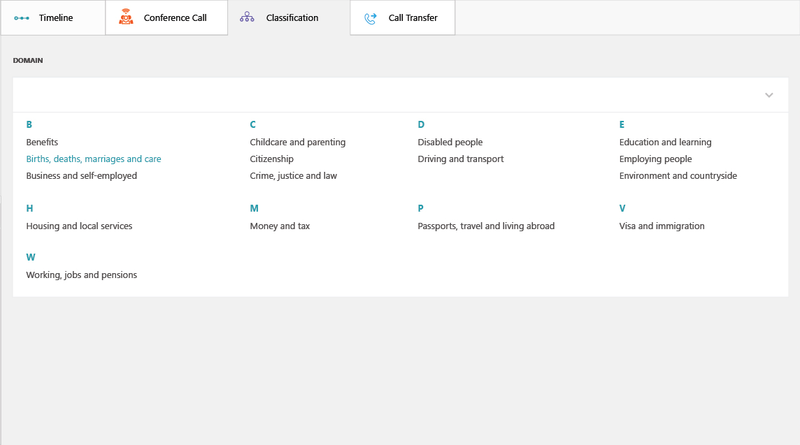 CallClassifications can be created, edited or removed. Warning The administrator is responsible for removing potential links with other entries in the database.